There has been some amazing events that has happened in the past couple months. Some we have participated in by partnering with other groups and some we were able to supply their needs for the outreaches they wanted to do. 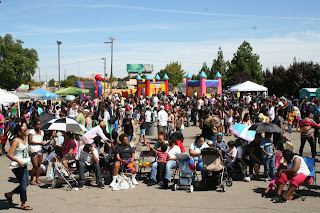 One event that was so amazing was the Free Backpack Give Away that Helping Hands put on. 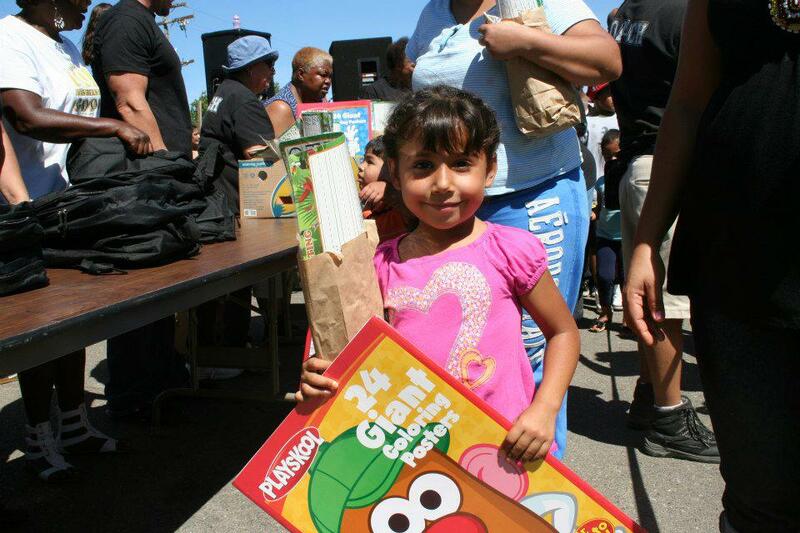 We were able to supply them with pallets of School Supplies to fill their backpacks. Within the first 30 minutes of the event they had over 1,000 people. Not only were they giving away backpacks full of school supplies but they had free food, free haircuts, free face painting, free clothes. You name it, everything was free. Last weekend we had our 3rd annual Free Clothing Give Away where we partnered with Victory in Praise and set up an area by the apartments we adopted to give away bags and bags of clothes as well as some toys, kid books, and baby items. As of now we are settling in a 20,000 square foot warehouse that we are staying in for free. We are excited about the potential. We have been getting in so much furniture. One company donated all their store front furniture which we hope to use in the near future for a free thrift store. For 2012 from January through September Supplying Needs has received over 560,000 dollars worth of food, clothes, toys, furniture and other material. IT has been an amazing year that is not over yet. We look forward to these last few months of 2012 and we are excited what 2013 has in store.